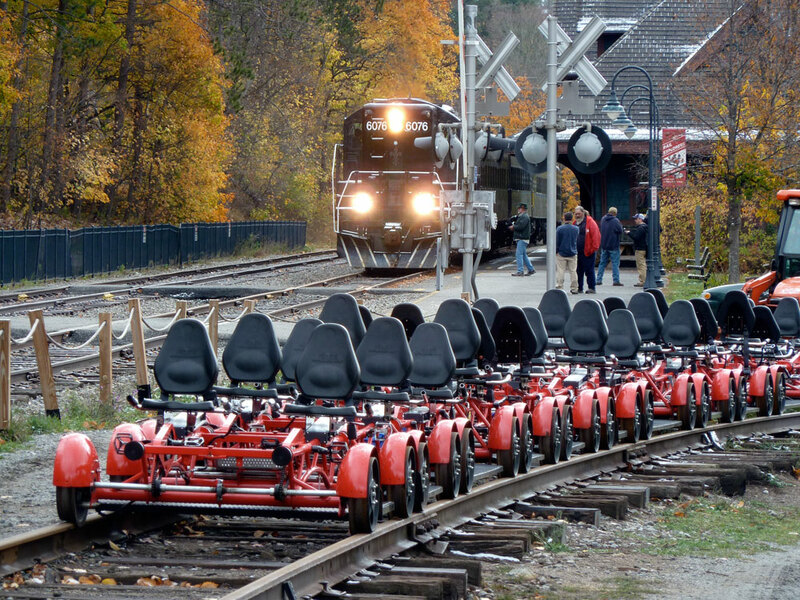 SARANAC LAKE — The Adirondack Scenic Railroad wants to get into the rail bike business this summer. ASR officials say the rides would be between Saranac Lake and Lake Clear, like previous rail bike company Rail Explorers. The railroad’s new executive director, Jack Roberson, said the nonprofit railroad will publicly announce its upcoming rail bike service at 1 p.m. Wednesday in front of the Adirondack Carousel, near the train station in Saranac Lake. He said they still have some details to work out, including when this summer the service would start and where in Lake Clear the rides would turn around. 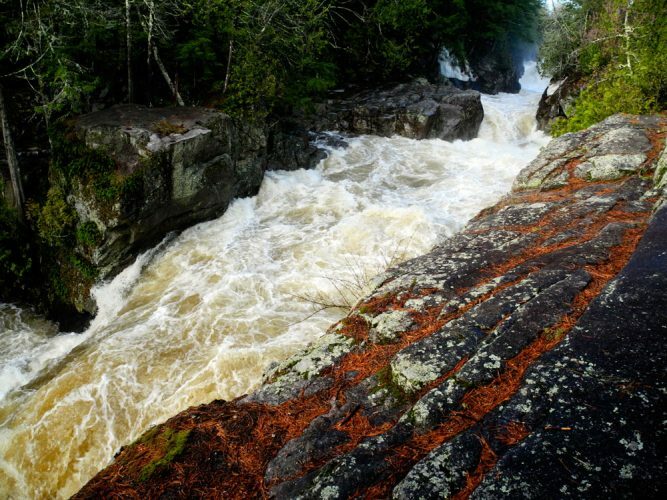 The railroad also is awaiting a permit from the state Department of Transportation and may also need one from the state Adirondack Park Agency. Rail bikes are pedal-powered cars that travel on train tracks. 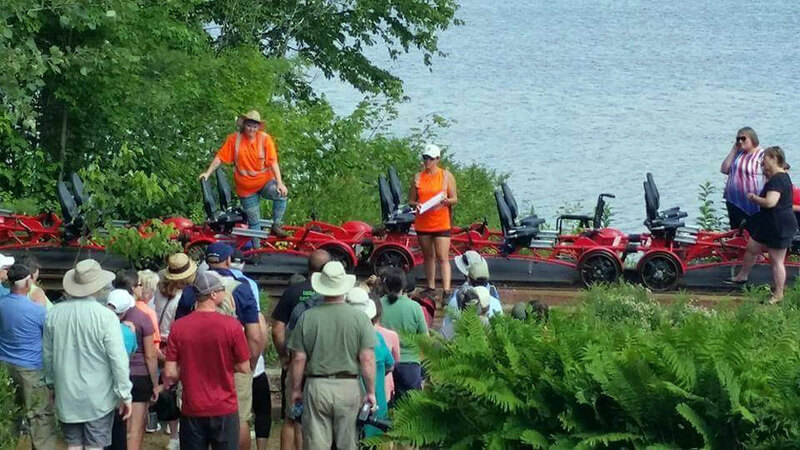 Rail Explorers, owned by an Australian couple, brought rail bikes to America and offered rides between Saranac Lake and Lake Clear in 2015 and 2016, plus some to Tupper Lake in 2016. People came from all over to ride them, and the company claimed tens of thousands of customers. It operated out of Saranac Lake’s Union Depot, the same station from which ASR ran excursion train rides to Lake Placid and back. Both rail bike and train rides stopped in 2016 as the state, which owns the rail corridor, got ready to remove the tracks between Tupper Lake and Lake Placid, to replace them with a trail for biking, snowmobiling, etc. 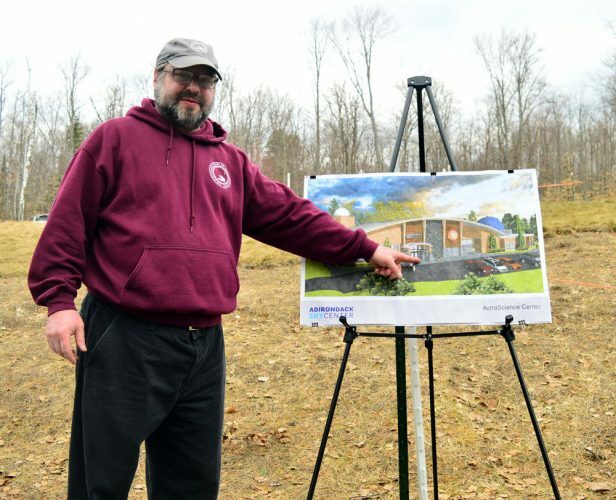 That plan, developed before Rail Explorers arrived, would have also renovated the tracks south of Tupper Lake so ASR could extend its Utica-based train rides northward from the Old Forge area. But the tracks through Saranac Lake didn’t get torn out. ASR sued the state over its plan and won, and the rails remain in place, albeit unused. ASR still plans to run trains all the way from Utica to Lake Placid, but obstacles remain. For one thing, it physically couldn’t get them here given the damaged state of the tracks south of Tupper Lake. ASR officials blame that damage on a contractor the DOT hired to remove trees in the corridor. ASR officials say they still plan to eventually run passenger train service all the way from Utica to Lake Placid, but in the meantime, they will try rail bikes. ASR’s bikes would be different from the South Korean-made models Rail Explorers used. The railroad’s DOT permit now only allows it to operate between Utica and Big Moose. 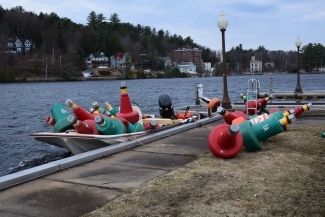 DOT spokesperson Jennifer Post said ASR has applied to run rail bikes between Saranac Lake and Lake Clear, and the department is reviewing that. An APA permit may also be required, according to APA spokesman Keith McKeever. To find out, ASR would have submit a jurisdictional inquiry form to the agency. While there is plenty of room at the now-empty Union Depot, finding a turnaround point in Lake Clear could be tricky. In Rail Explorers’ second year it turned around on private property between the hamlet’s namesake lake and state Route 30, but the service’s bus and rail bikers in the cramped area prompted some outcry from close neighbors. The year before its turnaround point was Charlie’s Inn and the historic train station at Lake Clear Junction, but inn owners John and Jill Brockway did not welcome them back, partly because they said the riders dirtied the property and partly because they want the tracks replaced with a trail so they can get more snowmobile business. Meanwhile, the state opted not to appeal Judge Robert Main Jr.’s ruling on ASR’s suit but has been trying a work-around to keep its rail trail plan alive. 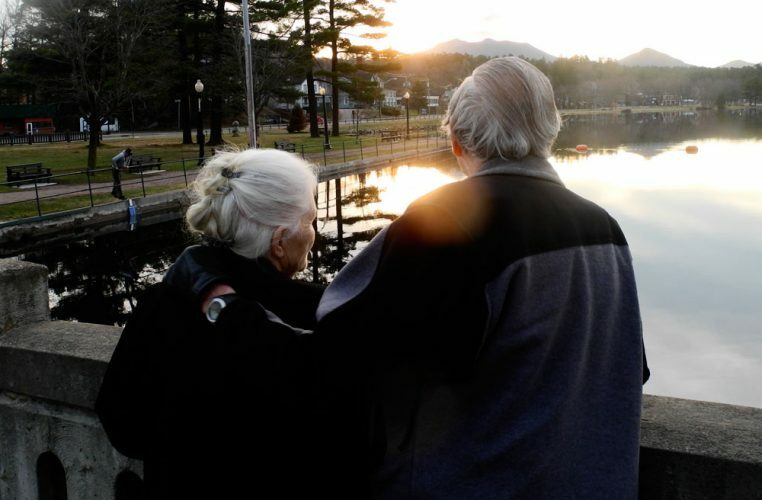 One problem Main found with the state’s case was an inconsistent definition of “travel corridor” in the Adirondack Park State Land Master Plan. Since then, the APA has proposed revising the definition in a way that would allow a trail in place of a former railroad. Agency staff are processing public comments on that revision before the board votes on it. If the board approves it, ASR officials won’t say whether they would sue again, but they’re watching the matter closely.